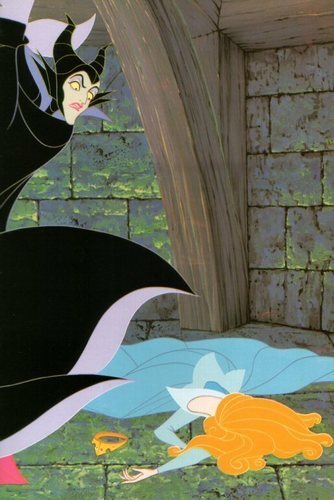 Maleficent and Aurora. . HD Wallpaper and background images in the 잠자는 숲속의 미녀 club tagged: sleeping beauty. This 잠자는 숲속의 미녀 photo might contain 파라솔 and 양산. She looks like she's been steamrolled to death...!